﻿ How Will Waymo, the driverless Google Car, Affect Car Insurance? Home Auto Insurance Guides How Will Waymo Affect Car Insurance? 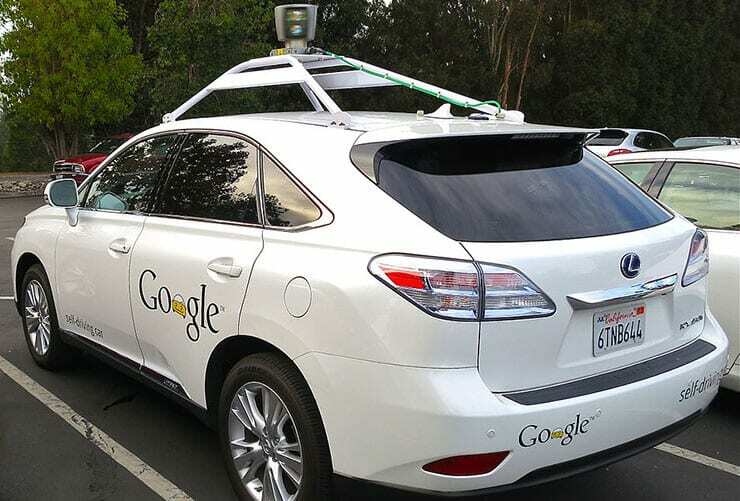 Wondering which company is going to be the first to make driverless cars an actual, real thing? Here’s a clue: in 2016, Waymo (formerly part of Google) logged more than 635,000 miles of testing on California’s public roads. The runner-up was GM, which drove just 10,000. Not only that, but Waymo says it does one billion miles of simulation testing each year. Waymo is getting really serious about getting autonomous cars on the road. That means that, sooner than we thought, Waymo will also have to figure out driverless car insurance. Here are a few ways we predict Waymo will change car insurance as we know it today. As Waymo rises, the cost of liability insurance will go down. Liability car insurance covers damages to another person resulting from an accident you cause. But what if a computer-controlled car causes the crash? In 2016, a Google driverless car made headlines when it collided — very slowly — with a bus. The car software thought the bus would yield, but it didn’t. No one was hurt. “In this case, we clearly bear some responsibility, because if our car hadn’t moved there wouldn’t have been a collision,” Google’s report stated. As incidents like this one become common, the burden of liability will likely shift from drivers and car owners to the driverless car manufacturers, because the car’s safety will be dependent on its programming, not on a person manually controlling it. Liability is costly, and this translates into auto insurance savings. Not only that, but experts predict that the overall accident rate will go down once the streets are filled with driverless cars. So even if you’re still stubbornly driving your old Honda Civic (and honking fruitlessly at Waymo cars) your liability premiums may decrease because you’re less likely to get into an accident. States may get out of the insurance regulation game. With the rise of Waymo, car insurance may become more uniform. “If car manufacturers are required to accept more responsibility for damage and injuries, they might push for a greater role for the federal government to eliminate some of the cost of complying with the rules of 51 jurisdictions,” the Insurance Information Institute predicts. We may not need driverless car insurance, because we won’t own cars anymore. Eventually, car insurance as we know it will go away. As driverless cars become the norm, they’ll crash less, requiring much less insurance. That means as much as 80 percent of the car insurance industry’s $200 billion in annual premiums (yes, billion with a B) could go away, the Wall Street Journal says. That’s good news for consumers, and bad news for insurance companies. As Compare.com CEO Andrew Rose tells insurers, “You need to be completely freaked out by the idea of autonomous cars—and completely relaxed.” Why relaxed? Because it’s going to take a long time — perhaps 30 years — to get there. While you’re waiting, why not cut your car insurance premiums the easy way? It takes just minutes to compare rates on Compare.com and find the best option for you. Try it now!